Wonder Woman and the Root Slayer | Does This Font Make Me Look Fat? 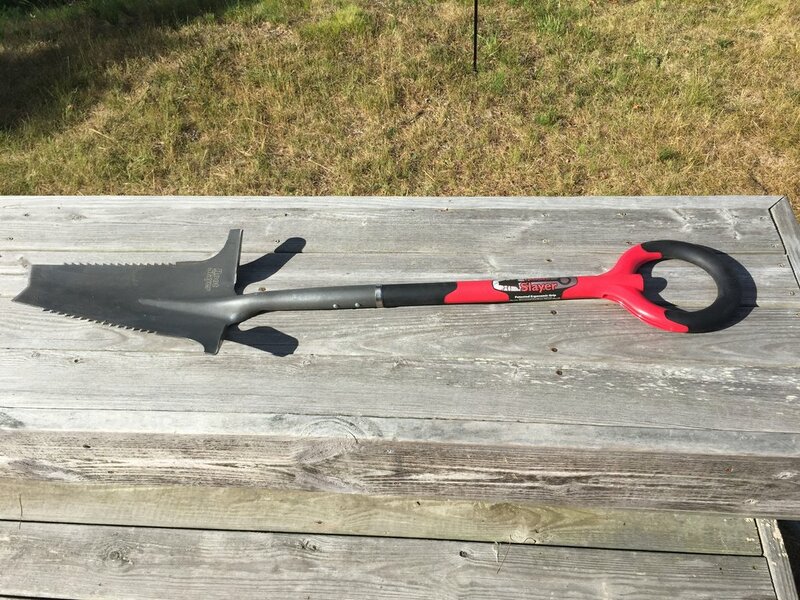 I just ordered a new garden shovel. It’s called a Root Slayer. I could have used it yesterday when I planted ten new azaleas. I put the plants in a section of the garden that will now get more light because our neighbors removed a hedge of very tall Leland Cyprus. These azaleas will get dappled sunlight underneath some crepe myrtles, large old silver maples and river birch that I top every year so they don’t get too tall. Despite the fact that I didn’t need very big holes, they were hard to dig and there were lots of roots so I called in the husband. After trying the first couple of holes with a shovel, my smart husband (who likes to work smarter not harder) got the pick ax out of the shed. I retrieved the big cutters from the garage and we started on hole number three. Those tools made the digging go faster but we could have used that Root Slayer. When this tool showed up in an email ad this morning I knew I had to get it. It’s sharp on the bottom with cutting saw edges on the sides and enough of a flange to really get some foot leverage. I have other Radius tools that I like so I’ll let you know my critique on this one once I’ve used it. I think I’ll go back to Eastern Shore Nurseries and get ten more azaleas – at 10 for $25 it’s a screaming deal. Now, please excuse me while I go change into my Wonder Woman duds. 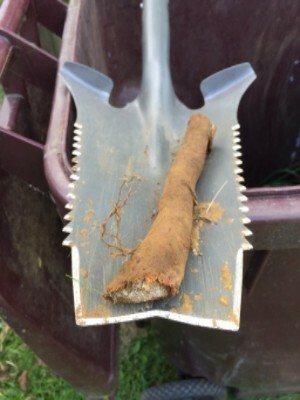 This entry was posted in Gardening, Gardening Tools and tagged azaleas, Eastern Shore Nurseries, Radius tools, Root Slayer by Mala Burt. Bookmark the permalink.